Jason always priorities the needs and goals of his clients. He is dedicated to achieving the best outcome for his clients while providing a stress-free experience in every transaction. A highly self-motivated individual who is not only determined to deliver high quality customer service but pledges to provide an unforgettable positive customer experience for all his clients. Prior to real estate, Jason spent over 7 years in the Navy specialising in Communications which enabled him to travel the world. Jason decided his skills were better suited to a career in Real Estate where his passion really lays and he has not looked back since. His real estate knowledge is thorough and with an eye for detail, he has used it wisely to invest in property throughout Australia. 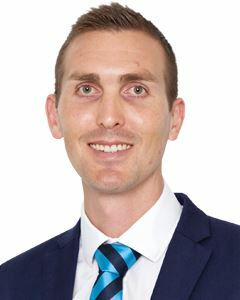 If you’re seeking honesty through open communication, discipline, time management and absolute drive then Jason is the Property Consultant for you. A true professional, genuine “people person” with an unrivaled passion for real estate makes Jason an approachable expert that both buyers and sellers have come to trust and rely on. His meticulous attention to detail and dedication throughout your entire sales process ensures it will be as stress free as possible. His belief that honesty is the best policy is what he prides himself on and this will be a pure benefit to Sellers and Buyers alike. His desire to work as a team player and not leave anyone behind is the drive behind him achieving amazing results. Under Offer by Sam Francis! Under Offer by Jason Kingdon! Fabulous Agent! Jason was fantastic! he was great at communicating what was happening and how the process was going, his calm demeanour was very reassuring and he was never pushy or ‘sales-ie’. He was confident in his ability to negotiate the best price for us and went above and beyond to help us out with some of the annoying little things that come up when selling a property from interstate. I would highly recommend Jason to anyone. Incredible Agent, Great Person! I write this to show my appreciation and gratitude for Jason and his colleagues. The decision to sell my home was during an extremely hard time, Jason’s superior knowledge and expertise made the whole process incredibly simple and easy. Not only did he understand and empathise with my current situation he remained professional and friendly throughout. I would trust Jason with any future sale of purchase of a home. Thank you again! Fantastic Agent! My husband and I were really pleased with Our agent Jason Kingdon. Very professional, kept up communication throughout the whole process and all round easy to work with. Awesome Agent! Great personal service from Jason! Went above and beyond to make sure we were happy during the process. I would highly recommend Jason to anyone looking for an agent. He kept us in the loop constantly and always gave us his honest opinion. Excellent Agent! As my husband and I were first home buyers we did not understand the process and Jason was there every step of the way and kept in contact to let us know what was going on and also after settlement has still helped us with a few issues with our house. Excellent customer service and work! Jason is thorough, friendly and professional and goes above and beyond to assist and achieve results. Jason is one of the few agents who messages/emails/calls more than once a week to let you know what's going on with your house. We felt totally comfortable and at ease in his company from the minute we met him. A great guy to do business with! We cannot thank you enough Jason for your exceptional service and professionalism. You have consistently kept us informed with the progress on our sales and made the entire sales process far less stressful. Your friendliness, honesty and willingness to go above and beyond will lead to a very successful career in the industry. We cannot recommend you highly enough. Efficiency Plus!!! 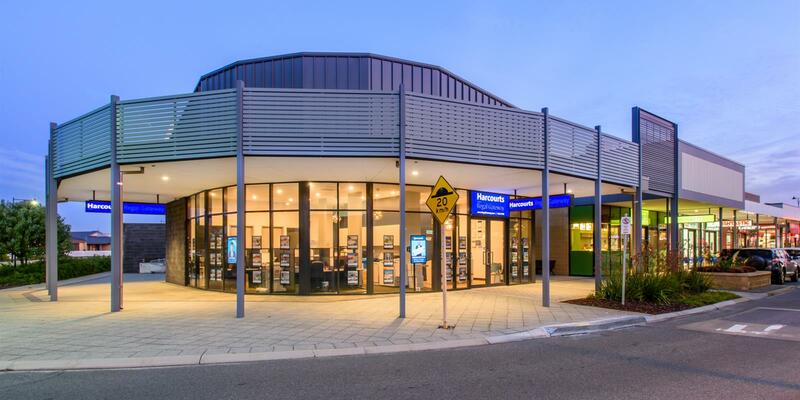 We wouldn’t hesitate to use Harcourts in any future dealings. Jason was amazing and communicated with us every step of the way! Thanks Jason for making this an easy experience! Great Service! Thanks Sam, the personal touch with great service was awesome. Thanks to Jason who assisted me in securing my home. It was a great experience and highly recommendable. Fantastic Agent! We would highly recommend Jason to sell your home. He was always very positive and very informative keeping in touch with us at all times through the selling process. If you want someone special to sell your house, this is the Man. © 2019 HARCOURTS REGAL GATEWAY - ATWELL, PERTH All Rights Reserved.